Owls are a re-occuring image in Alex Costantino’s work. The symbol provides the artist with fertile ground. An icon of wisdom and strength and a brutal, nocturnal hunter, the owl is at times mysterious link to mystical terrain and at other times a connection to the natural world. Depending on the context, it can be a symbol of the id, the ego, or the superego. Costantino uses the owl to explore his own psyche while making work that the viewer is able to access for themselves. 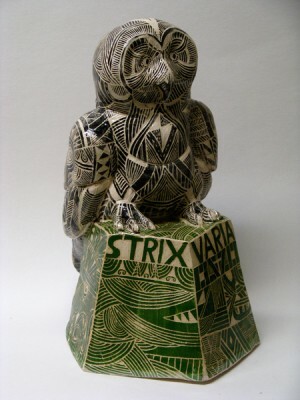 The Barn Owl (Tyto alba) and The Barred Owl (Strix varia) are ceramic sculptures where Costantino presents intricate drawing patterns on the bodies of the birds. 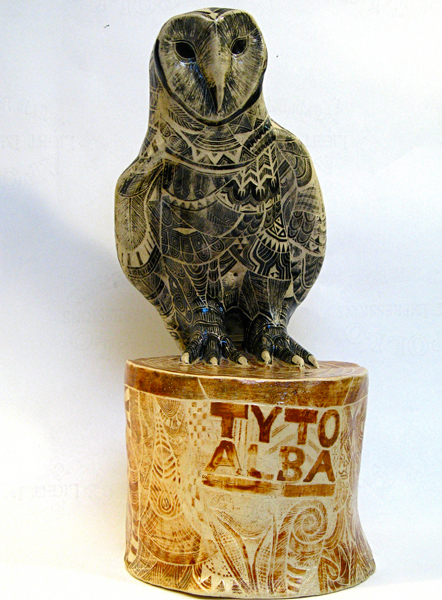 This technique gives the object a totemic quality that glorify the animal. 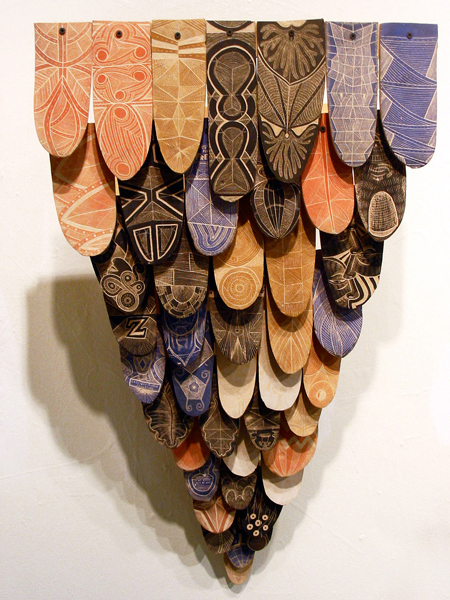 The Great Separation is a three-dimensional manifestation of a 2007 drawing with the same title. 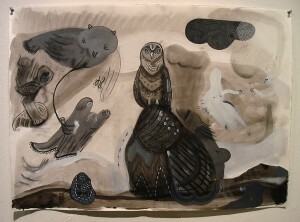 Here, Costantino offers the viewer an incomplete narrative—the elaboratly patterned wing of the owl ripped off­—that could as easily serve as a metaphor for the animals extinction as it could for the loss of power, culture, or connection. Constantino works successfully in a variety of media: ceramics, paint, pencil, print, video, and installation. His art is often in service of an idea. He explains, “Creating for me is an opportunity to satisfy a curiosity- what would the world look like with this in it?” “Islands” is a series of inverted bowls that feature patterns and map imagery. The bowls and tumblers that make up the “Comix” series are an aggregation of comic panels that range from narrative to collage to stream-of-consciousness. 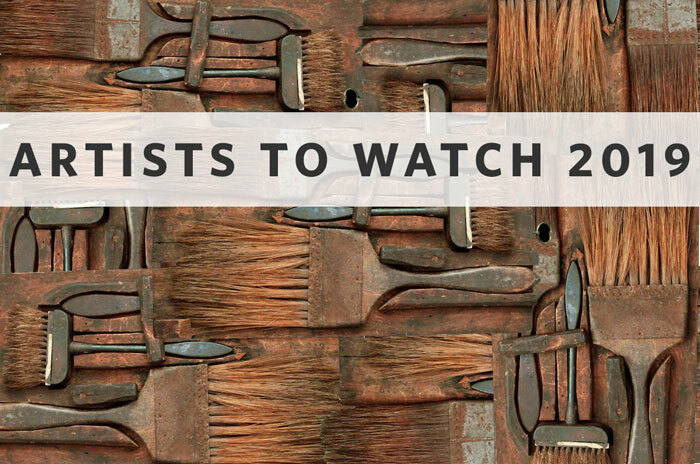 His work is marked by an expert use of color, sgraffito, and wit. 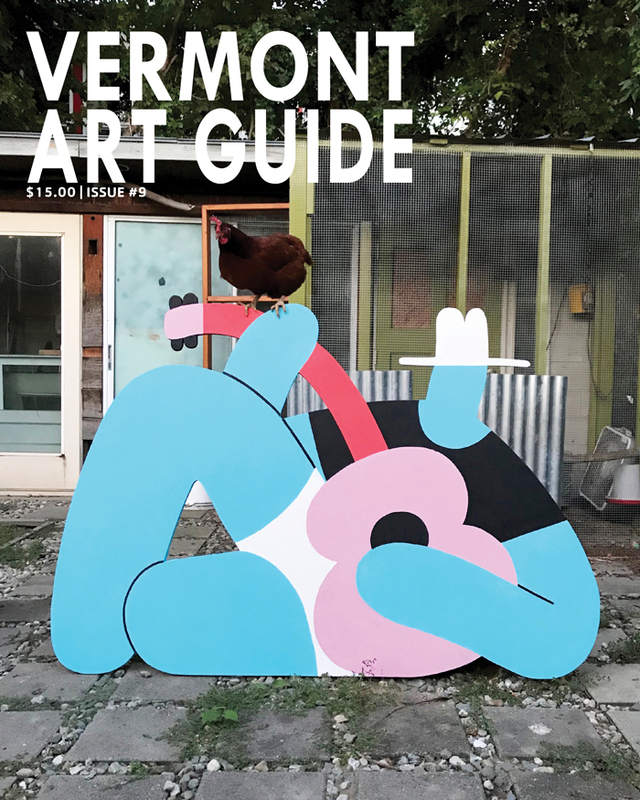 Costantino works as an artist and art teacher in Burlington, Vermont. 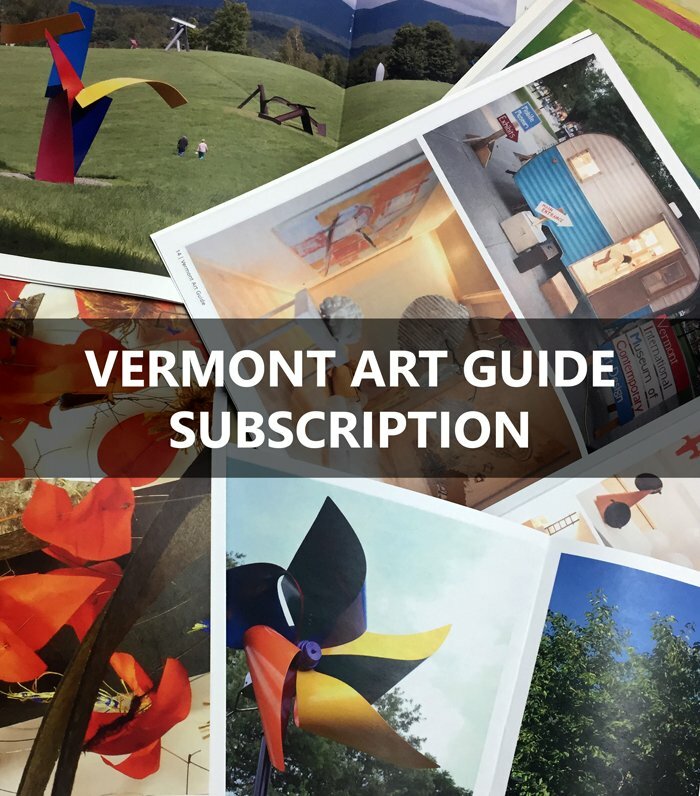 He holds a Bachelors of Fine Art in Printmaking from the Kansas City Art Institute and an Masters in Fine Art from the University of South Florida.